This blog post was inspired by a comment that Ian Brodie left on our recent post about “Long Distance Clients.” Ian’s a marketing consultant from across the pond. I highly recommend his work. Rocket science work is the best kind of legal work. It’s highly complex, cutting-edge work that requires a specialized expert with a nimble mind. It’s also the most profitable work. 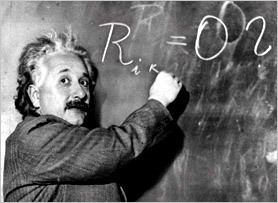 Clients are willing to pay a premium for “rocket science” counsel. Yet, most attorneys are stuck in the rut of commodity work – the kind of work that doesn’t pay particularly well and walks away on a whim. The big questions: How do you move up the food chain? How do regular attorneys position themselves to win lucrative rocket science legal work? The answer is straightforward: become a world-renowned expert in your field. This, of course, is easier said than done. However, it can be achieved – and the path is not very complex. Step 1: Pick a micro-niche. This is vital. You’ll never become a world-renowned expert in a broad field. When picking a niche, think narrow and think global. Clients don’t care if their rocket scientist lawyers are located in a different time zone. Step 2: Declare yourself to be a leading expert in your niche. Do whatever it takes to be able to convincingly make a claim of specialized expertise. I figure it takes, at most, 6 months of highly motivated effort for an experienced lawyer to re-brand themselves as a specialized expert. Step 3: Share your best ideas. Write, speak, blog. Parade your cutting-edge ideas around. Creating “thought leadership” content needs to become part of your job – not just something that you do on the side. Budget 5 hours per week – every single week – to do it right. Step 4: Compile all of your content on your website. I can’t stress enough how important this is. An attorney’s reputation-enhancing content (articles, videos, blog posts, podcasts) all needs to reside in a single place where prospective clients can easily find it. Many law firms fail to do this. For example, it’s not uncommon for a video of an attorney to be placed in a “multimedia” section (and thus banishing it to oblivion). Since the overwhelming majority of website traffic goes to the attorney bios section, it only makes sense for thought leadership content to reside on the bio pages. For many firms, this may mean re-conceiving the format of your firm’s bio pages. So how do you know when you’ve achieved the status of “rocket scientist”? You’ll begin to see it in your bank account. However, you’ll know for sure, when the decision to hire you isn’t determined by how much they like you but rather, because you possess the specialized expertise they need to fix a problem or escape a crisis. The only thing I would add is just make sure your micro-niche is deep enough, particularly in countries outside the US where population density is key. I’m from Australia and our experience has been in “branding” individual lawyers, that unless he or she is well supported by a big firm, setting up home in a micro-niche can be perilous. That said though, with the entry fee on pushing a site out to market on some good keyword research, you can get a sense of it before you leap. There is always a niche area in the contemporary world.